We are now all about Yorkshire. Our service is now for people living in Yorkshire and about music from and played in Yorkshire. We'll be continuing to post news of gigs and concerts in places that people living in Yorkshire can travel to. 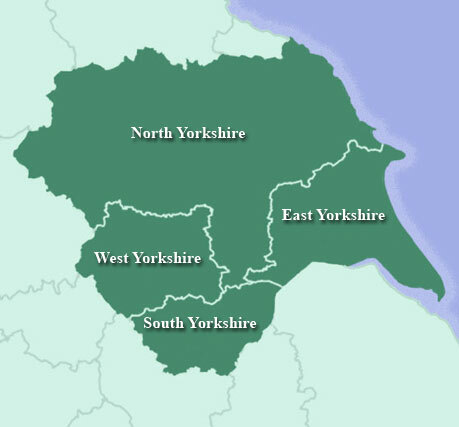 We’ve changed the area we cover from Yorkshire and Lancashire to only covering Yorkshire. What this means for people looking for gig information and news and bands/promoters/venues is slightly different. Our website and social media will include information about gigs, concerts and events in Yorkshire and the surrounding areas that people living in Yorkshire can get to easily. If the band or performer are from outside Yorkshire we will only include news about recorded music releases where this is associated with gigs and concerts played in the area above. We will not include standalone news about recorded music releases from bands outside Yorkshire. Band and performer features, reviews and interviews are mainly restricted to bands and performers from Yorkshire. You can ask us if you fall outside of this, please do contact us and we’ll consider it – but please don’t be annoyed if we say no. Currently we are doing not reviews of either gigs/concerts or recorded music. This is while we are setting up new things. We are of course happy to run news pieces about new releases. The Directory covers any location where people living in our area might travel to. Why are we doing this this? We love Yorkshire – we live there – and we know that there is such good stuff going on in Yorkshire that we want to make sure that we can cover as much of it as we possibly can. Our previous area was just too big to cover it anywhere near well. You may have noticed that our website is becoming more newsy. This is part of our changes designed to make the site and our social media more useful to both our readers and band/performers/venues/promoters. If you have any questions about the change contact us for more information.